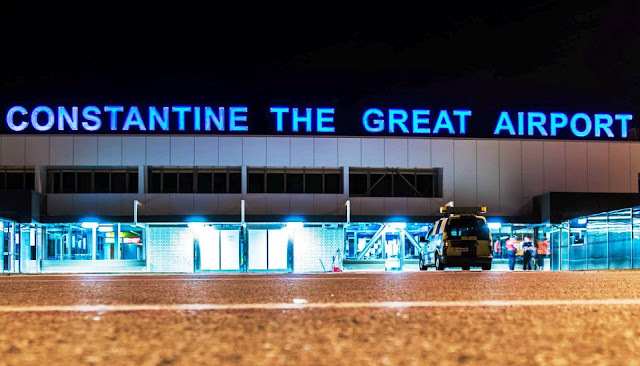 The Serbian government has launched tender procedures for the selection of the best bidder to carry out scheduled air services declared to be of public interest from Niš Constantine the Great Airport. The best bidder will be required to base an aircraft in Niš with the capacity to seat at least 125 passengers. The jet cannot be older than twenty years. The operating carrier must also have another aircraft stationed in Serbia for back-up purposes. Under the tender conditions, a group of carriers may submit a joint bid. The deadline for the submission of bids has been set for May 6 at midday. The eleven year-round and one seasonal service will be subsidised to the tune of five million euros from July 1, 2019 until June 30, 2025. The destinations in question are: Baden Baden, Bologna, Budapest, Frankfurt Hahn, Friedrichshafen, Gothenburg, Hannover, Ljubljana, Nuremberg, Rome, Salzburg and Tivat. All routes will be maintained twice per week both in the summer and winter months, with exception to Tivat, which will be operated three times per week between May and October. This is probably just a formality given that they probably already know who got the "job"
Based on the terms only Air Serbia and Wizz Air can win. Actually only JU can meet the requirements. W6 does not have any stationery aircraft at BEG. Their BEG fleet is extremely busy already so they cannot provide any backup except they add additional metal. But it is much pricier than offered subsidies. In this case either Ryanair (no Serbia based aircraft), nor Adria Airways (also if Kosovo would count as Serbia they don't have >125 seat aircrafts available at the moment) or Eurowings (no Serbia based aircraft) have chances to get the tender. Air Serbia has only aircraft with older than 10 years, so also doesn't fit the tender. Doesn't have WizzAir one or two aircrafts based at BEG? So would be the only airline which fits the request. Guys, it says 20 years in the text, not 10. Okay, then the article was adjusted. As they published it they have written "not older than 10 years". In this case Air Serbia also fits the requests. It says that the airline must have a base in Serbia not that it has to use those exact aircraft for flights from Nis. This is fixed for Wizz Air. 5 million over 5 years for so many routes, what does this mean per passenger? If it is until June 2025 (6 years) then roughly 2€ per PAX (70.000 EUR per Destination per year). In another article they say until June 2023 (4 years), then it would be appr. 3€ per PAX (100.000 EUR per Destination per year). Okay. One question to the Serbian crowd. Wasn't there this bizarre restriction imposed by Vinci on INI, when BEG was given to concession, limiting the number of passengers to surpass the 1 million mark? The government has to pay fines if INI passes a million and if it impacts BEG numbers. That said Vinci can waver their right if they conclude that INI passing one million did not affect them. I see, thank you for the information. I remember that the BEG target is 12 million pax, right? But oddly enough, it now makes sense. Regarding numbers, it will also be very interesting to see how Morava Airport will initiate. People said how this will be fixed for JU but in reality it's for Wizz. No wonder they are cutting BSL OSI since it was operated by the Belgrade plane. Ponderisani su povezani letovi i pristup globalnim mrezama ( cute itd..) wizz je u startu u manjjku 30 pondera. Nije namesteno za wizz nego za Er Srbiju. Uostalom, vecina Wizzovih linija je napadnuta. AirSerbija nema avion mladji od 10 godina. U tekstu pise da ne sme da bude stariji od 20 godina. Vecina Wizzovih linija je napadnuta? Ha ha ha pa Wizz onda napada samog sebe iz SKP, evo u istom kraju FDH, BSL, NUE, cak i FKB i FMM koji su bukvalno jedan pored drugog, alo! Pa jos kad je subvencionisano sto da ne! Koje Wizz INI linije su napadnute buducim letovima do Budimpeste, Ljubljane, Bolonje i ha ha ha... Tivta!!! I guess it was put so that Wizz can rotate planes more easily. Let iz BEG za NUE se nije odrzao vise od pola godine(takodje dva leta nedeljno),ne znam kako misle da ce uspeti iz Nisa pogotovo kad znamo da postoje letovi i iz Sofije i iz Skoplja za Nirnberg. Oba aerodroma na oko 150km od Nisa. Из Београда има директних летова за Минхен, њих нема из Ниша или Скопља. Зато НУЕ има потенцијал у тим градовима. Ok,ali vec postoji let iz Skoplja za Nirnberg. Onaj iz Srbije kome treba Minhen ce leteti direktno iz Beograda nece valjda presedati u Nirnbergu. A onaj iz Makedonije ce koristiti Skoplje do Nirnberga pa tamo presesti na let za Minhen npr.. Ipak mislim da se linija za Nirnberg nece isplatiti. Videcemo. Pz. Не али онај који је из Београда а иде за Нирнберг много му је лакше да лети за Минхен па онда возом до крајњег одредишта. Неко ко је из Ниша или Скопља нема тај луксуз. Aviogenex will lease an A320 and fly from INI! Na sajtu Ministarstva u konkursnoj dokumentaciji piše da je period subvencije tri (a ne 6 godina), a da je visina subvencije 5 miliona evra svake godine, dakle ukupno 15 miliona evra (maksimalno). Pored pilota i kabinskog osoblja potrebno je zaposliti i 15 osoba u Call centru. Kada se malo sračuna ispada da subvencija može maksimalno dostići 4.200 evra po jednoj rotaciji što je zastrašujuće mnogo. Ovo baca malo drugojačije svetlo, zar ne ? Zastrasujuce samo onome kome je matematika bauk. Makedonija je u decembru objavila tender za trogodisnju subvenciju Wizzu. Recimo iz Ohrida koji je slicniji Nisu po prometu, placaju Wizzu jednokratno 40.000 evra za svaku novu liniju i 13 evra po putniku u prvoj godini. Ako je linija dva puta nedeljno, A320 sa recimo 150 putnika po smeru, to je oko 4.300 evra po rotaciji. Sad nije zastrasujuce, zar ne? ...ali INI naplacuje samo po 3 evra po putniku a OHD nekoliko puta vise kad sve saberes... tako da izadje na slicno.